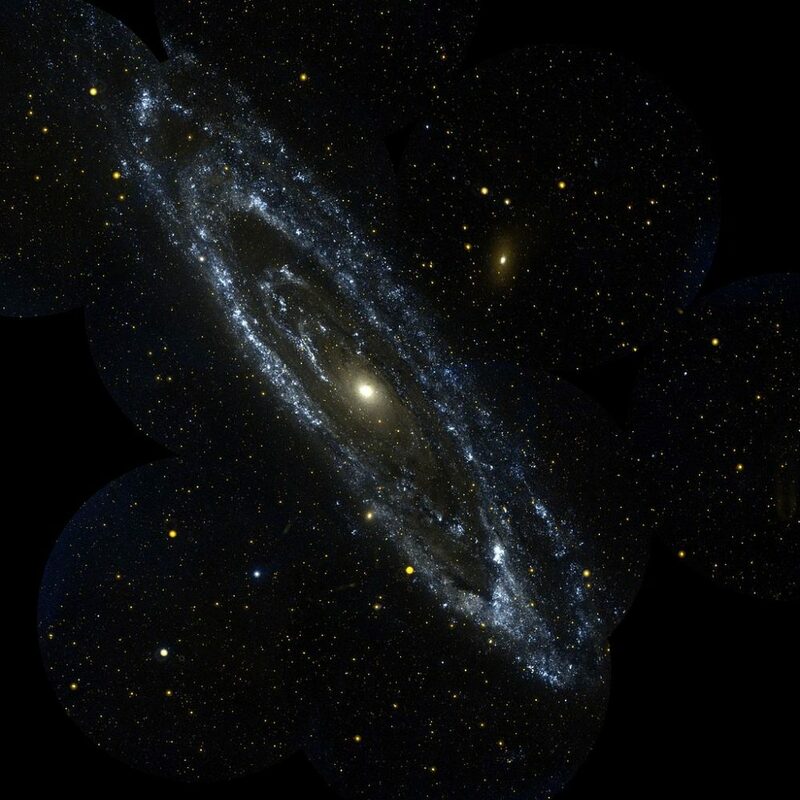 Andromeda Galaxy (also known as Messier 31, M31, or NGC 224) is a spiral galaxy located in the Andromeda constellation. The galaxy was named after the constellation which, in turn, was named after the mythical princess Andromeda, daughter of Cassiopeia and Cepheus, in Greek mythology. Andromeda Galaxy is one of the most famous objects in the night sky, and the nearest spiral galaxy to our own, the Milky Way. It is on a collision course with the Milky Way, and the two galaxies are expected to merge in about 4 billion years. The Andromeda Galaxy is located at a distance of about 2.54 million light years from Earth. With an apparent visual magnitude of 3.44, it is the most distant object visible to the naked eye, and one of the brightest deep sky objects listed in Messier’s catalogue. Andromeda is the closest spiral galaxy to the Milky Way and belongs to the Local Group of galaxies, along with our own galaxy, the Triangulum Galaxy (Messier 33) in Triangulum constellation, and about 30 smaller galaxies. 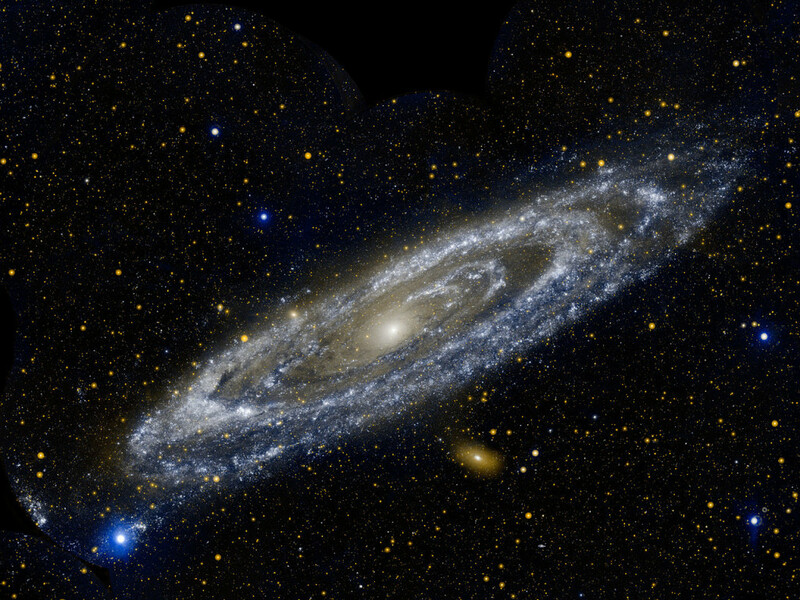 Andromeda is classified as a SA(s)b galaxy. It is the largest galaxy in the Local Group, but may not be more massive than the Milky Way, which is believed to contain more dark matter. The Andromeda Galaxy underwent a collision with one of its satellite galaxies, Messier 32 (M32) over 200 million years ago, which left M32 stripped of more than a half of its mass and created several rings within Andromeda. The Hubble Space Telescope has documented a double nucleus at the galaxy’s centre, which is either an illusion created by a dust cloud in front of the single nucleus, or it indicates that, once upon a time, Andromeda swallowed a smaller galaxy and the second nucleus is a result of the collision. The Andromeda Galaxy is home to a trillion stars, which is at least twice as many stars than the Milky Way contains, based on information provided by the Spitzer Space Telescope in 2006. The existence of the galaxy was first documented in 964 by the Persian astronomer Abd al-Rahman al-Sufi in his Book of Fixed Stars. He described it as a small cloud. German astronomer Simon Marius was the first to describe the object after observing it through a telescope in 1612. In 1764, Charles Messier included it in his catalogue and labelled it M31. 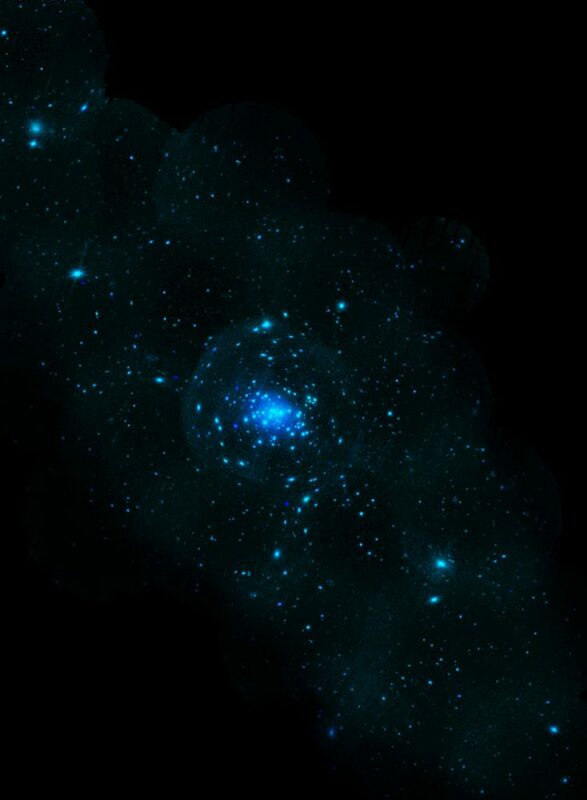 Even though the galaxy was first photographed in 1887 by the Welsh engineer and astronomer Isaac Roberts, it was still believed to be a nebula within the Milky Way Galaxy. It was not until 1925 that American astronomer Edwin Hubble proved conclusively that the Great Andromeda Nebula was in fact a galaxy independent of the Milky Way. Andromeda is believed to have formed as a result of a collision of two smaller galaxies approximately 5-9 billion years ago. The galaxy contains a notable deep sky object: NGC 206. It is the brightest star cloud in the galaxy, originally discovered by William Herschel in 1786. The Andromeda Galaxy can be seen without binoculars even from places where there is moderate light pollution. When seen through a telescope, it is over six times wider than the full Moon, but when observed with the naked eye, binoculars or a small telescope, only the galaxy’s bright central region is visible. To find the galaxy, one should look at the area between Cassiopeia’s W shape and Pegasus constellation. Alpheratz (also known as Sirrah or Alpha Andromedae), the brightest star in Andromeda, is one of the stars that form the Great Square of Pegasus. The three bright stars between the Pegasus square and Cassiopeia constellation are the most prominent stars of the Andromeda constellation. M31 is located above the star in the middle, Beta Andromedae (Mirach), between Cassiopeia and Pegasus. Andromeda is approaching the Milky Way at an approximate speed of 100-140 kilometres per second. The two galaxies are expected to collide in about 3.75 billion years. As a result, they will likely merge into a giant elliptical galaxy. 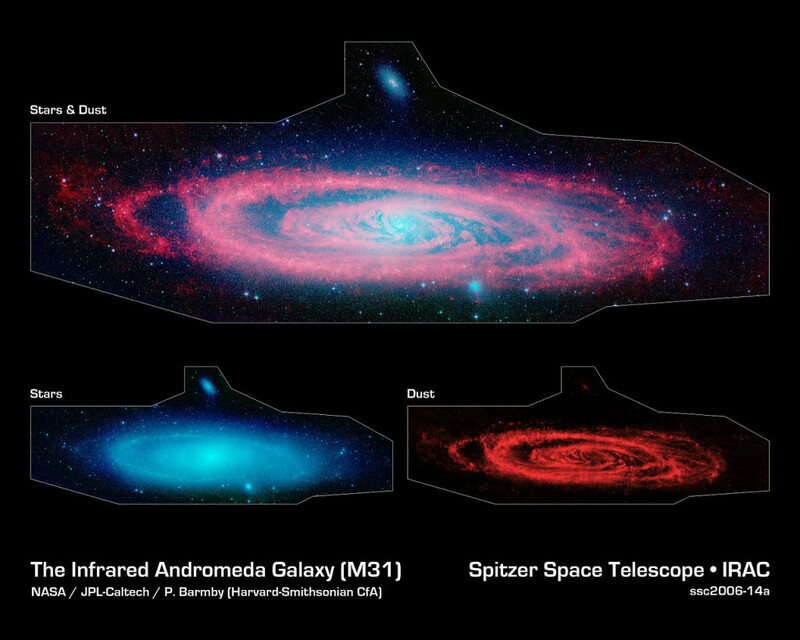 The many “personalities” of our great galactic neighbor, the Andromeda galaxy, are exposed in this new composite image from NASA’s Galaxy Evolution Explorer and the Spitzer Space Telescope. The wide, ultraviolet eyes of Galaxy Evolution Explorer reveal Andromeda’s “fiery” nature — hotter regions brimming with young and old stars. In contrast, Spitzer’s super-sensitive infrared eyes show Andromeda’s relatively “cool” side, which includes embryonic stars hidden in their dusty cocoons.